This meal, although not photogenic, is fresh and delicious. 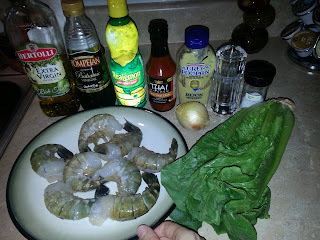 I adapted the shrimp and romaine part from a recipe I found via Google search, and the vinaigrette dressing recipe is from a fellow foodie and friend. My hair smells like grill smoke and my stomach is happy! 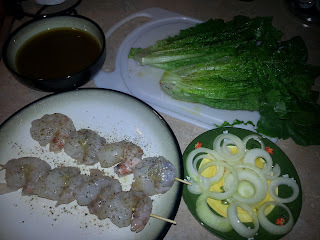 Thread shrimp onto oiled skewers. Brush or spray shrimp with olive oil and season with salt and pepper. Cut romaine lengthwise in half. Brush or spray lettuce with olive oil and season with salt and pepper. Brush onion rings with oil. 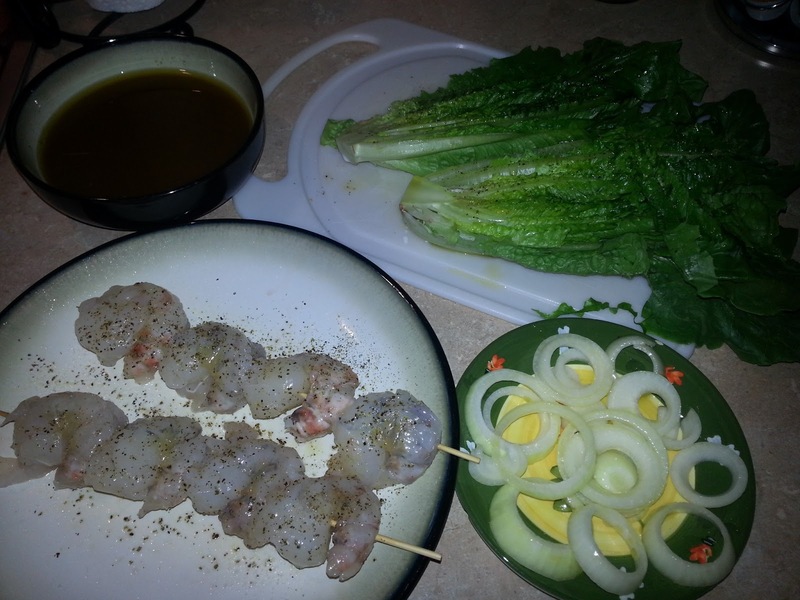 Place onions and shrimp on preheated grill and cook about 4 minutes for one side. Turn over, and grill the other side. Put the romaine middle-side down on the grill while the second side of the shrimp cooks, and grill until it wilts slightly. 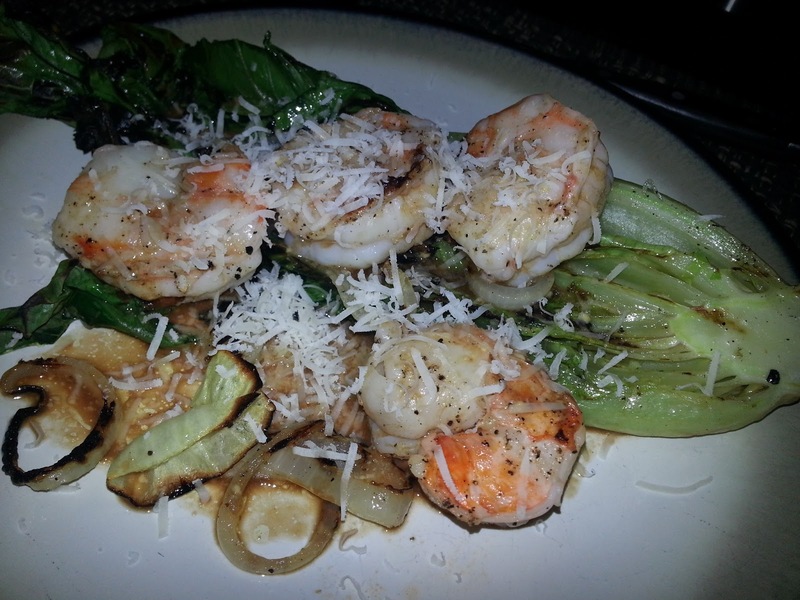 Put romaine on a plate and top with shrimp and onions. Spoon or pour over the vinaigrette. Top with grated Parmesan cheese.